(NOTE: Sometimes the embed function from Authorstream doesn’t work very well. If that’s the case, you can see the student examples of PowerPoint presentations at the Authorstream site by just clicking on the student’s name below the slides). Through a “What if?” project, I think students can gain a greater grasp of the fragility, interconnections and imponderables that we confronted in our past and will face in our future. I’ve finally gotten around to trying it out in my own classes. Earlier this month I did a what I think is a scaled-down version of what Carla and Diana did. I gave my IB Theory of Knowledge students a couple of days to work in pairs and develop a short PowerPoint presentation. They then gave three-to-five minute presentations, during which all students had to come up with a question and the presenters picked on one student to share theirs. It was a fun, useful lesson — an excellent one to do near the end of the year so students could take a short break from the intense experience of having to write their TOK final essay. “What If?” Slideshows From My English Language Learner Students). 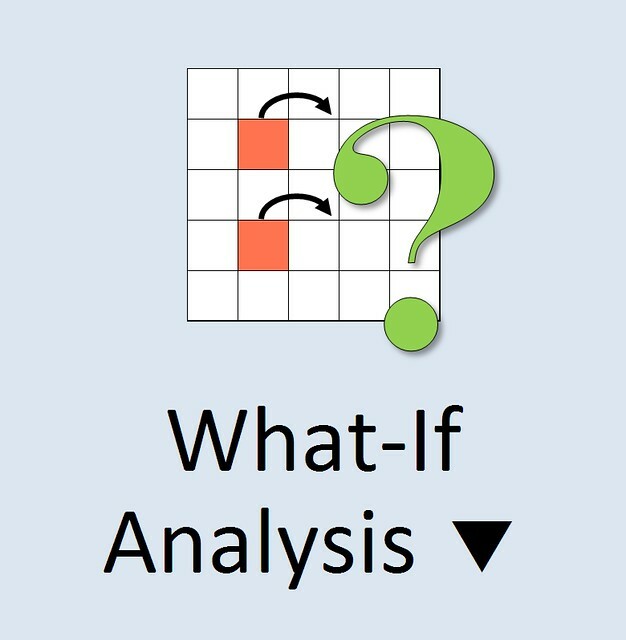 What Did You Like About The “What If?” Project? I liked that the presentations were short and simple. I liked how it was simple and complicated at the same time. It was fun using our imagination. I really liked people asking good questions. I liked how we could see that a little event from the past could change the future by a lot. How Could The Project Have Been Better? It could have been better if we had more time. What Did You Learn About History? I learned that one minor event can change history on a major scale. Every event can have an impact on what is happening right now. The present might have been better if some things happened but our present isn’t as bad as what could have happened. The fact that a tiny change in the past could lead to a dramatic change in the future. I learned that in history even the smallest detail counts, especially when you are researching it, as it can lead to some very unexpected results. I learned a lot from my classmates, including many real events that I hadn’t even known had occurred. I’ll report how things go with my ELL class in June. What-If and What-Is: The Role of Speculation in Science is from The New York Times. The “what if” habit of mind for all. is by Deborah Meier. Killer Waves: How Tsunamis Changed History is an article from Live Science that could be very useful in my “What If?” history projects. Skills Practice | Alternative History as Narrative is from The New York Times Learning Network. The What If’s of History is an interesting Storify. What If World War I Never Happened? is from Discovery News. What If America Had Lost the Revolutionary War? is from The Atlantic. What If Counterfactuals Never Existed? Studying history with hypotheticals is from The New Republic. It first shares the negatives, and then provides counter-arguments. History Without Hitler? appeared in The New York Times, and points out some ways this kind of thinking can be helpful related to Arab Spring. What If? 19 Alternate Histories Imagining a Very Different World is from Mental Floss. 20 maps that never happened is from Vox. Africa, Uncolonized: A Detailed Look at an Alternate Continent is from Big Think. What If Lenin’s Stroke Came Five Years Sooner? What If the Allies Had Lost World War I? is from The Atlantic. Why We’d Be Better Off if Napoleon Never Lost at Waterloo is from The Smithsonian. If you could undo one historical event, which would it be? is from Ideas. Have any of you tried similar projects? I have used Diana’s project twice–once for a particular unit (American Imperialism) and again as a final exam project. They did not like the first, but seem to enjoy the freedom to change any point in American history. Carla’s rubric is way better than the one I developed! Do you have an examples or materials that you’d care to share? maybe you’re already aware of this but there is a burgeoning field of study called “counterfactual history, in which historians are doing exactly this kind of activity! Robert Crowley has put out a couple of fantastic books, entitled “What If?” and “What If? II” where historians pick important moments that could have verrrry easily gone the other way, and they think about what the immediate and long term differences it would lead to. My favorite chapter is on the William’s conquest of England in 1066…it turns out William was a bit of klutz. His side was losing the battle, and going into retreat, when William fell off his horse. His troops thought he had been killed, went into a rage and won the battle after all. William got up, dusted himself off, and was King of England. Imagine what would have happened if he stayed on his horse! I used, presented, and written about a similar activity when I was in the classroom. My 8th grade students loved this lesson. My article was published in The Social Studies (2011). The link to the article is http://www.tandfonline.com/doi/abs/10.1080/00377996.2010.525547#.UvVqu9GYaUk. Glad to see teachers all over the country using counterfactual history!